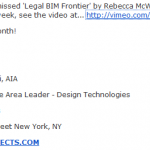 Many legal questions are getting asked in and around the BIM community. From “Who owns the model?” to “Who is responsible to track changes?”, we find ourselves in a new and somewhat scary world of legal consequences to our modelling action. Some of these issues are captured in the following downloads and quotes, which in turn were taken from a post on Out-Law.com, a legal news site run by Pinsent Masons. 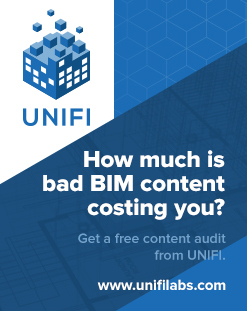 As might be expected, the definition of BIM is perhaps a little naive, or maybe just utopian? A BIM system uses a computer generated model to collect and manage information about the design, construction and operation of a project centrally. It is especially useful where many parties, such as different sub-contractors, provide input on the same project. 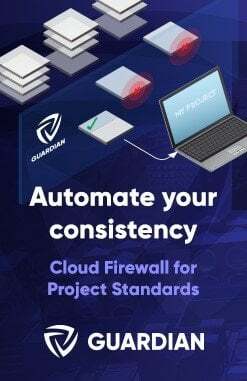 Any changes to the design of a project made during its construction are automatically applied to the model. Next Next post: Another Auto Section Box tool with included preselection functionality – a competitor to COINS?